When and how often do trees need to be watered? Learn below! 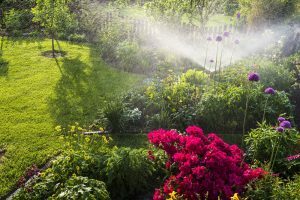 Everyone knows that they need to take the time to water their plants throughout the year, but many people completely forget about watering their trees. Trees typically need less water than other things in your yard, but that doesn’t mean that they can make it through the summer without a little extra TLC. How can you tell if your trees need to be watered? How Often Do Trees Need to Be Watered? Unfortunately (or fortunately, depending on how you see it), no two trees are exactly alike. As a result, there are no reliable blanket recommendations for how often you should water your tree. The age, size, location, climate, soil, and type of tree will have a huge role in how much you should be watering your tree. The younger that your tree is, the more often you should plan on watering the tree. The root system is not very established, so they use much more energy than older trees in an effort to push their roots deeper and gain a stronger foothold in the ground. If your young tree is in the first couple years of its life, it should be watered about once or twice a week. Once the roots start to deepen, you will only need to give your tree a deep watering infrequently instead of lightly watering the top of the soil. How Can You Tell That Your Trees Need to Be Watered? Using your finger or a screwdriver, burrow into the soil to feel how damp it feels. Does the soil feel dry? It’s time to water. Does the soil feel wet? Don’t worry about watering or checking again for at least a couple of days. During periods of heavy rain or heavy drought, you will need to pay more attention to your trees. Younger trees can become oversaturated during periods of intense rain and suffer problems due to their shallow root systems. Older trees, even with deep root systems, can dry out during long periods of drought. Always check your trees regularly if the weather pattern changes to ensure that they are being properly watered. This entry was posted on Friday, June 30th, 2017 at 11:39 am. Both comments and pings are currently closed.